Under the blue search and find bar (see below). 4. 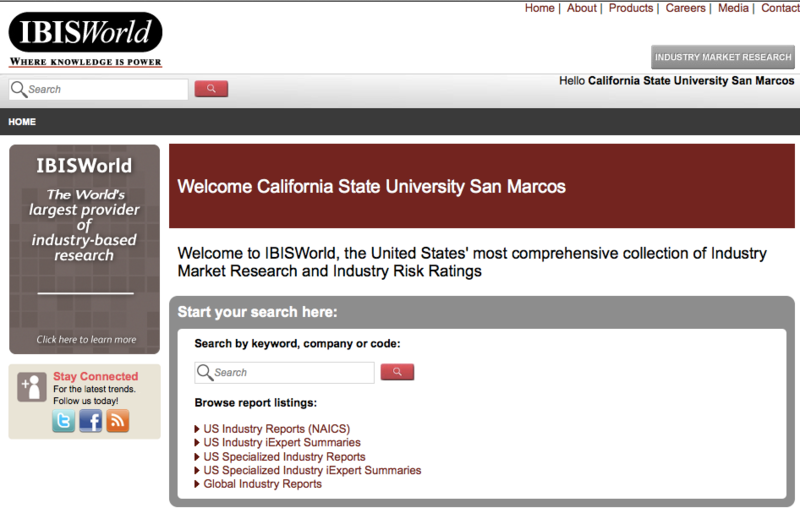 Once IBISWorld is launched there are two places to search. On the very top left is a search. In the middle of the database is a second search box. See Image below. 5. 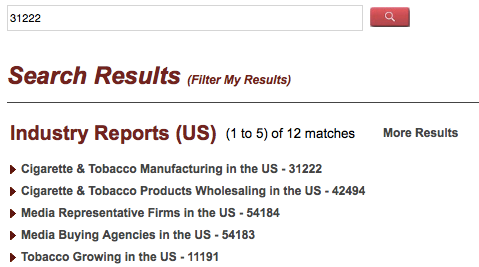 Enter the name of the report and click on the magnifying glass icon to the right of the search bar. 6. 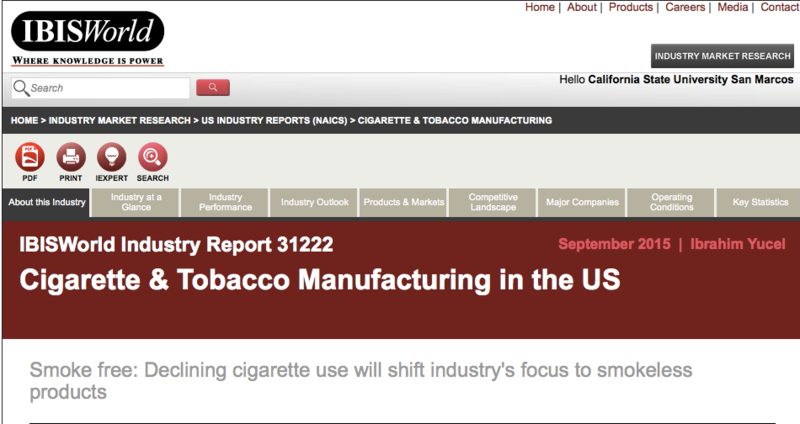 Click on the Top report [Cigarette & Tobacco Manufacturing in the US - 31222] to open the Industry Report. 7. You can use the report ONLINE or if you wish you can download the repot as a PDF (see image below).